Dogs are nutritionally omnivores and thrive on a plant-based diet. Generations of dogs eating the Vegepet diet have been a testament to this since 1986. Start with fresh ingredients, without preservatives or animal products, and prepare food as you do for other family members. Mix a small amount of the new food with the old and adjust the proportions over a period of days. GMO (Genetically Modified Organism) ingredients and herbicides can cause gastrointestinal issues, food allergies, and more. Soy, canola, and corn that is not organic IS almost certainly genetically modified in the USA. Compassion Circle strongly recommends organic food for you and your animals! Almost every process in the body requires enzymes. Digestion is no different. Digestive enzymes are produced in the body and found in plants and raw foods. These enzymes are heat sensitive, so cooking and processing food destroys the natural enzymes. We recommend adding plant-derived enzymes (lipase, amylase, protease, and cellulase) to any cooked food. Amylase is a particularly important aid for the digestion of carbohydrates. Prozyme® Plus – available from Compassion Circle – maximizes the absorption of valuable nutrients by up to 71% and greatly aids digestion. Adding digestive enzymes to the diet can decrease the food requirement by 25%! A little raw food doesn’t supply enough enzymes to compensate for the enzyme loss in cooked food. Adding daily veggies (never onions) to the diet is ideal. Vegetables add few calories, but add variety, vitamins, and minerals. Dogs are appreciative of “people” food such as raw cauliflower florets, asparagus spears, and celery stalk chew toys. Pureed raw vegetables are a wonderful addition to meals. You may also add cooked sweet potatoes, carrots, green beans, corn, or squash. Uncooked, chopped zucchini, broccoli, and green pepper are also good additions. It is best to keep the amount of veggies in the diet to about 10% or less to ensure your dog is getting enough protein from the protein sources in the following recipes. Food yeast adds high quality protein, B vitamins, and flavor while helping deter fleas. Our VegeYeast is a modified brewer’s yeast. It is more acidic than other yeast powders, thus beneficial for the urinary health of dogs. Stir yeast powder into the food so chunks are uniformly coated. You can use nutritional yeast or regular brewer’s yeast in recipes if you prefer. Nutritional yeast tastes cheese-like and comes in maxi-flakes, mini-flakes, and powder. When using maxi-flakes, double the volume (not the weight) measurement. Initially, it is best to weigh out the type of yeast you choose to use, in grams, on a kitchen scale. The gram measurements in the recipes are more accurate than the volume measures. Yeast is required to meet the B vitamin requirements for your dog. If a yeast allergy is present, you may substitute a crushed 50mg B complex vitamin in each 2-3 day recipe. The Vegedog™ supplement does contain a small amount of selenium yeast. 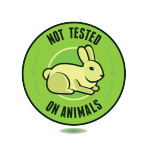 If your animal has a severe yeast allergy, our supplements are not recommended. Oils – EFAs are Important! Essential Fatty Acids (EFAs) are particularly important. The omega-6 fatty acid, linoleic acid (LA), is crucial. Dogs can produce the other fatty acids they need with enough linoleic acid in the diet. This includes the production of arachidonic acid. When a recipe calls for sunflower oil, it is to meet the linoleic acid (LA) requirement. The following oils are a comparable substitute for sunflower oil: safflower oil, evening primrose oil, grape seed oil, and hemp oil. If you use a different oil, understand that your dog needs 1/2 teaspoon (2.47mL) of one of the above oils for every 15 lbs (6.8 kg) of body weight each day to meet the linoleic acid requirement. Omega-3 fatty acids are provided by the flax ingredients in the recipes. Flax ingredients provide the omega-3 fatty acid, alpha-linolenic acid (ALA). You may substitute 2/3 teaspoon (3.3mL) of flaxseed oil for 1 tablespoon (7g) of ground flaxseed, or vice versa. Store oils in the refrigerator. Smell and taste them before use to be sure they are not rancid. Imitation bacon bits, stevia (a sweet herb)*, imitation meat, spirulina, pureed vegetables, and favorite table scraps from your own meals increase palatability, although you’ll find it hardly necessary for palatability. *DO NOT use xylitol in dog food. It is toxic. We highly recommend using organic, non-GMO soy products! Textured soy protein (TSP), also known as textured vegetable protein (TVP®) or soya chunks, is a defatted soy flour. Measure TSP (textured soy protein) before reconstituting. Flakes and granules must be reconstituted. Add 7/8 cup boiling water (207mL) to each cup of TSP (237mL) and let it absorb the liquid. Textured soy protein chunks (which are larger) may require brief simmering before ready for use. Recipe cup measures are based on 1 cup of dry TSP weighing 96 grams. Recipes are based on a 44-lb. (20 kg) adult dog. Vegedog™ is for adult dogs (over 10-12 months old) and can be used for pregnant dogs if they are allowed to eat more of the recipes. It is most ideal to use the Vegepup supplement for pregnant dogs. Lactating dogs and puppies need the Vegepup supplement. The Vegedog™ supplement needn’t be cooked or heated. It can be added after meals are prepared, but it is best to mix the supplement into warm food. Ingredients can be prepared separately, then all mixed together, or you may come up with your own method. Prepared meals may be stored in the refrigerator or freezer, with or without the supplement added. How much Vegedog™ per day? If you use your own recipes, instead of the following, an adult dog of 44 lbs. (20kg) will get about 2-1/4 tsp. (10g) of Vegedog™ per day. Mix that amount into the total amount of daily food, or divide between daily meals. See the adjacent chart for serving sizes for different weight dogs. NOTE: Bake the 3-Day batch following measurements under the “3-Day Soy Kibble” ingredients. The 15-Day Recipe is primarily for mixing and storing dry ingredients for later use (a great time saver). Do not add ground flaxseeds or liquid ingredients if storing the premix for future use. 2-1/4 tsp. salt (9.5g) OR 3-1/3 tbsp. soy sauce (60g/49mL) added with 1 cup plus 1-1/2 tbsp. sunflower oil (245g/258mL) and 2/3 cup ground flaxseed (70g) plus necessary water (if baking 15 days food all at once). Don’t add liquid ingredients or ground flaxseed if you are storing the premixed dry ingredients. Salt can be left out of the Dry Ingredient Premix and replaced by soy sauce when making the regular 3-day recipe. For more flavor: Substitute a sugar free prepared pasta sauce for the water or add tomato paste along with necessary water. A 4 gallon (18 liter) pail with a tight fitting lid (available at hardware stores) makes a good container for shaking (mixing) and storing the dry ingredients. 1. Preheat oven to 325°F (160˚C). 2. Use 8-1/3 cups (1.9L) of the above dry ingredient mixture. Add 3-1/2 tbsp. sunflower oil (49g/52mL), 3 cups water as needed (474mL), and 2 tbsp. ground flaxseeds (14g). If you didn’t premix the preceding 15-day premix, add ingredients for 3-days below. 3. Stir with a large strong spoon to form soft dough. 4. Flour hands and counter top to keep dough from sticking. Empty the bowl onto the counter top. Knead the dough by folding it on itself several times until smooth, proceeding as if making a pie crust. 5. Roll dough to no more than 1/2” (1.25cm) thick, and smooth in place on a cookie sheet, kneading into corners. Bake for 20 minutes. Don’t bake so long that the edges get brown and brittle. With a large chef’s knife or pizza cutter, cut newly baked slab into 9 (or 12) parts (on a cutting board). Cut twice horizontally, and then cut vertically 2 or 3 times. Cut each of the resulting rectangles into kibble sized pieces by cutting first in one direction, and then the other. Piece sizes are determined by the size of your dog. Separate kibble pieces onto two or more cookie sheets and place in a warm oven (at its lowest temperature) for two or three hours until crunchy dry. Direct sunshine makes an energy efficient drier. Kibble is dry enough when you can’t compress pieces with finger pressure. Fresh kibble and biscuits help keep teeth and gums healthy but we recommend including wet food in the diet to add moisture and improve urine concentration. Mix all dry ingredients together, then add the liquid ingredients to the dry mixture. Go to the preceding Step 3. NOTE: Bake the regular 3-1/2 day recipe. These first measurements are for mixing and storing bulk dry ingredients for later use. Do not add the ground flaxseed or liquid ingredients if storing the premix for future use. Hemp protein powder increases lysine in the kibble. Lysine is an amino acid needed for dogs to manufacture L-carnitine. Hemp protein can be omitted if feeding kibble only occasionally. If feeding on a regular basis, please include hemp protein in your recipe. Thoroughly mix the above ingredients before mixing in the following. 2. Use 8-1/2 cups (1.24kg) of the above 18-day dry ingredient premix OR use the dry ingredients for 3-1/2 days (below). For more flavor: Substitute a sugar free prepared pasta sauce for the water or add tomato paste along with any necessary water. See the “Kibble step-by-step” instructions above (step #3) for the flaxseed and liquid ingredient measures. 10 cups cooked garbanzo beans (1.61kg/2.37L). Start with 3-2/3 cups uncooked garbanzo beans (725g). If using canned garbanzo beans, use 8 cups canned garbanzos (2.1kg/1.9L). do not add additional salt or soy sauce. Optional: Seasonings such as parsley, basil, spirulina, Green Mush,™ AND/OR up to 1 cup steamed or chopped veggies (150g). Soak garbanzo beans in water until doubled in size. Change water as necessary to keep from fermenting. Cover with fresh water and cook until soft. A crock pot is most convenient. Drain thoroughly and crush warm beans with a potato masher, fork, or food processor. Mix in other ingredients. Refrigerate extra portions in small covered containers. 3-1/2 cups uncooked lentils (700g). Soak lentils in cold water for two hours. Drain, cover with water, and cook until soft, or sprout for one day. Sprouted lentils need to be broken up in a food processor or blender for dogs. Drain before using. 7-1/4 cups uncooked oats (650g). This makes 14-1/2 cups when cooked (3.12kg/3.33L). Grams to cup measurements for oats vary. See the nutritional facts on your oats and use 650g of uncooked oats. 3 cups extra-firm tofu (735g/710mL). The cup measure is of tightly packed cups of extra-firm tofu, not cubed. Optional: Seasonings such as parsley, basil, spirulina, Green Mush,™ AND/OR up to 1-1/2 cups steamed or chopped veggies (225g). Simply prepare oats and mix in the additional ingredients. You may add tofu into the cooking oats to warm the tofu. 7-3/4 cups uncooked oats (700g). This makes 15-1/2 cups when cooked (3360g/3.7L). Using more water than 2 cups water to 1 cup of oats will increase cooked oat measurement. Base measurement on dry oats. Grams to cup measurements for oats vary. See the nutritional facts on your oats and use 700g of uncooked oats. This recipe requires little preparation time. Quick-cooking oats are easy to prepare. Just pour oats into boiling water and stir. Pour boiling water on textured soy protein at the same time. Don’t add so much liquid that the food becomes mushy. 9 cups cooked brown rice (1.8kg/2.1L) or 9-1/2 cups white or parboiled rice (1.6kg/2.25L). Begin with 3 cups uncooked rice (514g). Cook rice and reconstitute TSP in just under 3 cups of water (710mL). Combine rice, reconstituted TSP, and remaining ingredients. Mix and serve. For additional Recipes and Health Information, see Dr. Pitcairn’s Complete Guide to Natural Health for Dogs & Cats (4th Edition) by Susan & Richard Pitcairn. Please reference the 4th Edition; first printing March 2017. Previous editions do not have the same focus on vegan dog recipes. For More information on Green Mush™ – a plant-based, pesticide free, green superfood for animals and a wonderful addition to any of our recipes – please visit the Compassion Circle website.